THE MOST POWERFUL NITROUS PLATE SYSTEM ON THE MARKET! 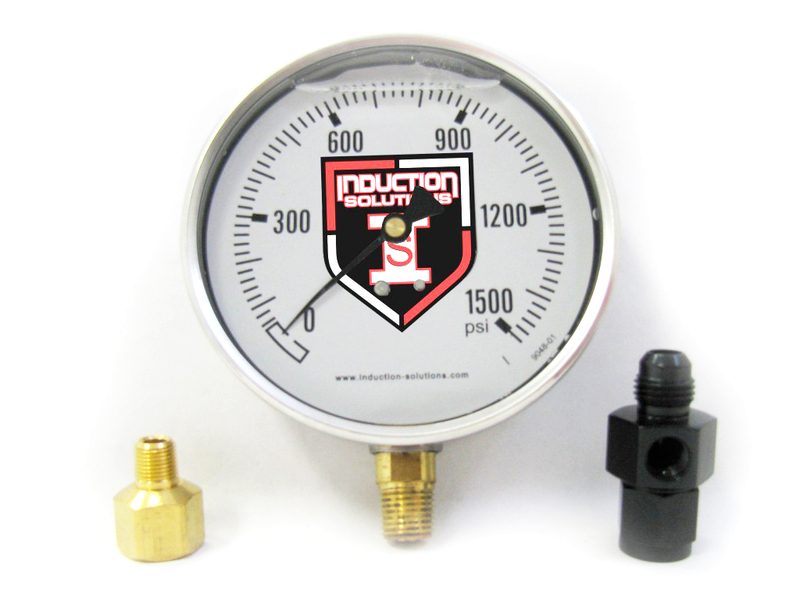 The Induction Solutions SledgeHammer nitrous plate system is based on a NOS plate. Some of what makes the I-S SledgeHammer nitrous plate system different from an out of the box kit are the ways we blueprint, modify, flow and re-jet map the system, as well as the great tech support we provide. The plate is 1” thick with stainless steel spray bars. One of the things making this plate unique are it’s four spray bars (2 nitrous/2 fuel) that equate to better flow, atomization, distribution and horsepower. The fuel solenoid is our own Bottom Exit Fuel Solenoid with a .184 orifice. The nitrous solenoid is our Trash Can solenoid with a extra large .175 orifice for max flow it also has a PTFE plunger as well as a ~16-18 AMP coil. Both solenoids are equipped with filtered inlet fittings. Each I-S SledgeHammer system is flowed and comes with custom jet mapping from 150-600+ HP (550+ on the 4150 plate). This kit includes all S.S. jets for each power level in 50 HP increments. We can flow for E-85 applications, instead of gasoline, for a $50 upcharge. * Plate, lines, filtered inlet fittings, solenoids with brackets to mount, I-S blue print, flowed, jet mapping,jets and tech support. A couple of extras we have included in this kit to make it a true complete kit are a -6 purge kit, racer safety on the bottle as well as a 1 ½” liquid filled nitrous pressure gauge on the bottle. PPH numbers are available upon request at time placing order for no additional charge!